Check out what’s on tap for today’s episode of NXT UK, the go-home show for NXT UK TakeOver: Blackpool. – In the wake of Tyler Bate & Trent Seven’s victory over Gallus’ Mark Coffey & Wolfgang to earn the right to compete in the NXT UK Tag Team Championship Tournament Final, General Manager Johnny Saint has revealed that Zack Gibson & James Drake will battle Flash Morgan Webster & Mark Andrews next week to determine Moustache Mountain’s opponents at NXT TakeOver: Blackpool. 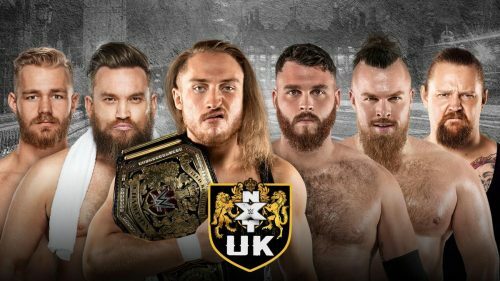 – In addition, next week’s NXT UK will see WWE United Kingdom Champion Pete Dunne join forces with his British Strong Style cohorts, Moustache Mountain, in an epic clash against Gallus’ Joe Coffey, Mark Coffey & Wolfgang.